Marek Szwarc was born into a family of intellectuals. His father was a judge at the Zgierz Court and also conducted research on lost Eastern languages. He was murdered by the Nazis in 1940 as he was trying to protect his collection, which was burnt. Marek studied at the heder and at a Polish high school in Lodz. His first works, which he had produced at the age of fourteen, disappeared during World War II. In 1910, he arrived in Paris, settled at La Ruche and took Antoine Mercier’s classes at the Ecole des Beaux-Arts. 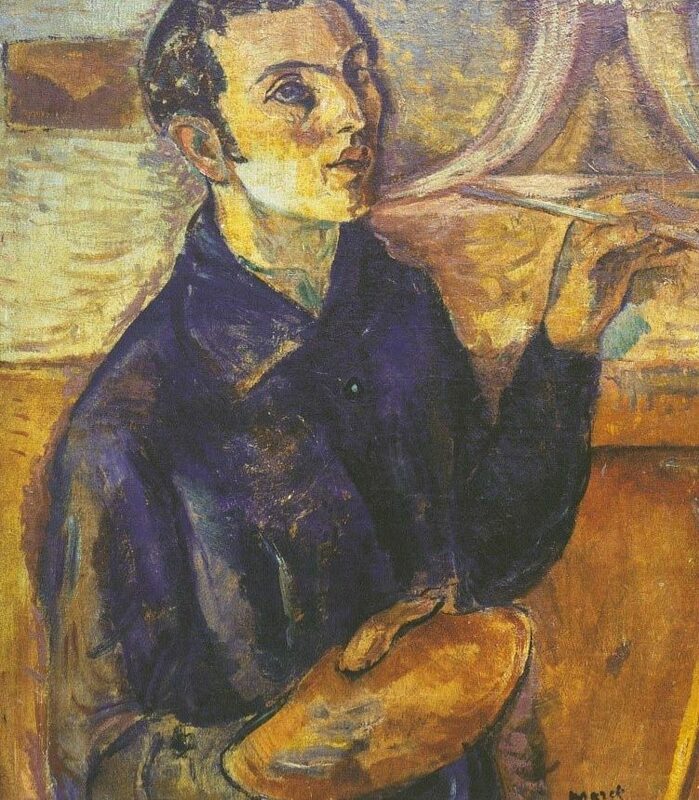 At La Ruche, he was in touch with other Jewish artists. With Chaikov and Lichtenstein, he founded Makhmadim (delights), which was the first Jewish art journal with neither text nor manifesto. Only a few issues were published and distributed by the artists themselves. In 1914, while he returned to Poland for his vacation, the war broke out. He was exempted from military service thanks to a letter by Antoine Mercier to his friend the Tsar. The year 1919 marked the beginning of a new epoch for Marek Szwarc. He married Eugenia Markowa and settled with her in Paris. In 1920, he and his wife converted to Catholicism; the artist was then going through a difficult time. His conversion shocked his friends and family. His family banished him and he was ostracized and cut off from the world. This mystical man considered that he was at the same time Jewish and close to the Christian religion. Most of the works he produced at that time were bas-reliefs representing mainly Biblical and evangelical subjects. In 1921, he met police chief Zamaron who bought some of his works. He produced bas-reliefs for the pontifical pavilion at the International Exhibition in 1937. In 1939, Marek Szwarc enlisted in the Polish army as the war gave him a reason to fight Hitler. After serving in the army for three years, his superiors sent him to London in order to answer to Cardinal Hindsley’s order: a hammered silver plate. London was a new turning point in his prolific creative production. During that time, he worked exclusively on sculptures and hammered copper. In 1945, he returned to Paris with his family and acquired French nationality. He settled in his studio in 65 boulevard Arago, where he remained until he died. 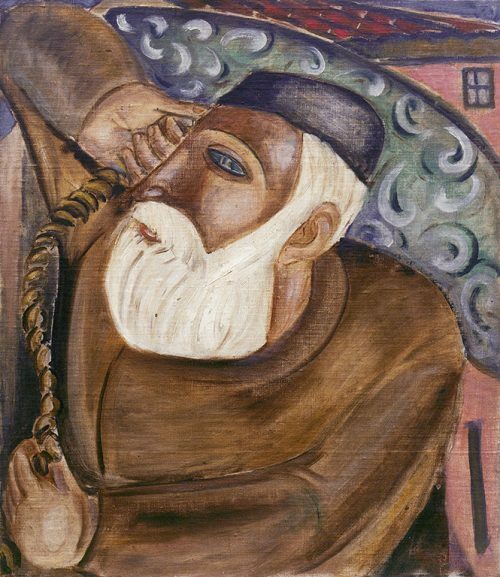 An important collection of works by Marek Szwarc, acquired by Georges Brazzola, was offered to the Musée d’art et d’histoire du Judaisme in Paris after the artist’s death.